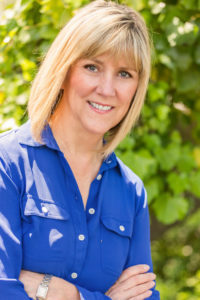 I am a Marriage and Family Therapist practicing in Folsom, California. I provide individual therapy and relationship counseling to adults and families. I am certified in Dr. McBride’s WIEBGE 5-step recovery program and have found this program to be invaluable, for both women and men alike, as they move towards reclaiming their lives after enduring a painful and difficult childhood. As a therapist my approach is eclectic, meaning I use a number of therapeutic tools and theories in my work. I choose my approach based on each individual client’s worldview, life perspective, presenting problem, personality and comfort level. Some of the theories and tools I am trained in and practice, in addition to Dr. McBride’s 5-step program, include Acceptance and Commitment Therapy (ACT), Eye Movement Desensitization and Reprocessing (EMDR), and Cognitive Behavioral Therapy (CBT). With compassion and understanding I will work with you to help you build on your strengths and attain the recovery and personal growth you are committed to accomplishing.